Every business needs new ideas. The right idea can spark a great product line or service feature that can catapult a company’s sales. The question is, how do we find the good ones? It’s easy to get caught up in the day to day business and miss the changes that might be obvious to others, making outside input invaluable. One of the best outside sources is the people we serve; our customers. They’re at the receiving end of the way we do business, which makes their point of view second to none. (http://mystarbucksidea.force.com). Here, their customers can post their input on anything from a new branch location to the milk they prefer. Then, other users can post their opinions on those ideas. One post on sugar free flavorings received 25 replies; another on whether Starbucks should sell wine generated 185. There are thousands of posts on My Starbucks Idea, providing the coffee maker with a gold mine of information. It’s not all positive, but that’s okay. Understanding one’s weaknesses can be a catalyst for improvement. If you have a website, you might consider adding a page where you ask your customers for new ideas. If you have the manpower to manage it, forums or a blog can be set up for discussions and live postings such as Starbucks does. Or, you could ask your customers for their feedback in an email newsletter, like I’m going to do now. If you have ideas or comments on any area of Global Trade Specialists, please reply to this newsletter and email them to me. If you’ve ever thought “it would be nice if GTS offered…” or, “Why don’t they…?” or even “Why did they do that?” I want to hear it. This will help me know how to serve you better. Wheels made from aluminum, magnesium and/or steel are available from China. 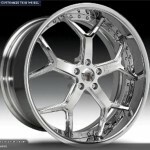 Many different styles and sizes for cars and trucks available, as well as custom wheels. Contact us for more information and/or a quote. 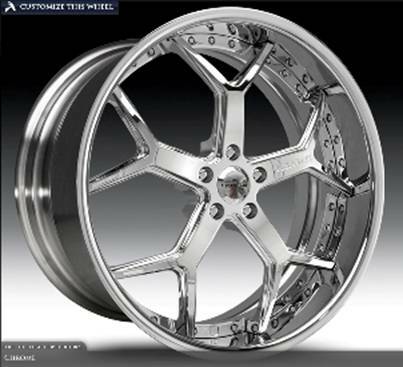 The picture to the right is of a forged three piece wheel; one piece wheels are also available.